Thought Balloons - Creating Comics One Page At A Time: Enemy Ace – The Flying Aces of World War I – MK Stangeland Jr.
Enemy Ace – The Flying Aces of World War I – MK Stangeland Jr.
Panel 1: HANS VON HAMMER, the ENEMY ACE himself, is flying his Fokker Tri-Plane across the cloudy skies. These aren’t so much hindering clouds so much as picturesque clouds, however. VON HAMMER: (Thought Balloon) Once again, I take to the skies as part of an ever-darkening war. Panel 2: VON HAMMER looks out of his plane to the skies as he searches for his quarry. VON HAMMER: (Thought Balloon) My mission: To hunt down the infamous scourge of the skies, that dogged pilot who refuses to die. Panel 3: VON HAMMER spots the shadow of a Sopwith Camel flying across the clouds. VON HAMMER: (Thought Balloon) And then I see him. His plane is one of hundreds just like it. 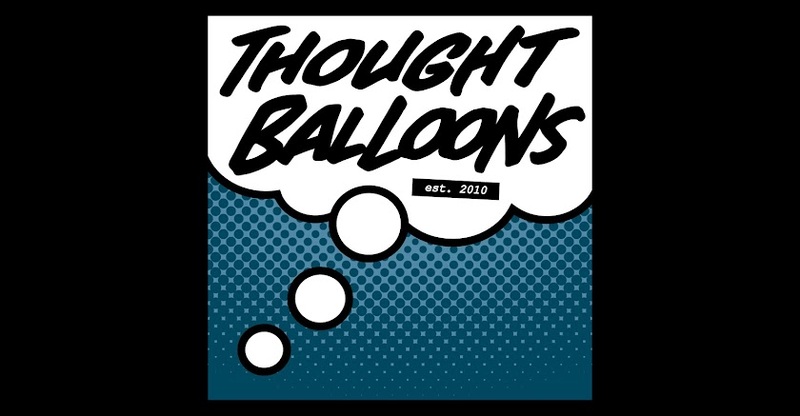 VON HAMMER (2): (Thought Balloon) But the pilot? The pilot is unmistakable. Panel 4: VON HAMMER’s plane goes into a maneuver that will take him on an intercept course with the plane he saw in the previous panel. VON HAMMER: (Thought Balloon) I move into position, ready to strike. Panel 5: Reveal panel – in the foreground is VON HAMMER’s target. It’s SNOOPY in his World War One Flying Ace persona, flying a vehicle that looks like a cross between his doghouse and the Sopwith Camel that he believes it to be. SNOOPY looks over his shoulder as he tries to locate VON HAMMER’s plane behind him. In the background is VON HAMMER’s Triplane, dramatically moving into position before pulling the trigger so he can try to shoot down SNOOPY. VON HAMMER: …The World War One Flying Ace! Amazing. When I saw your title, this is what I hoped you'd do, but I didn't think it would actually happen. Well done on bringing together the two greatest World War I comic book pilots into one excellent page. I hope that Snoopy makes it out alive, but I don't like his chances. What an unexpected but great combination of characters. A fun and well played one pager. Oh, MA-A-A-AN!!! These were my favourite Peanuts strips when I was a kid...Thank you for bringing The World War One Flying Ace back! Viva Schultz! Nice combo here that pays off with a funny last panel.